The sprawling Scottsdale Mountain homes for sale in Scottsdale, AZ are situated within the Eastern area of Scottsdale. It is most easily accessible by going all the way north on 136th Street, into the Eastern region of Scottsdale. This can be accomplished by exiting from the Red Mountain Freeway (the 202) from the north part of Mesa, or via the Pima Freeway (the 101) in Central Scottsdale. It's premium location lends homeowners plenty of privacy and feelings of safety. 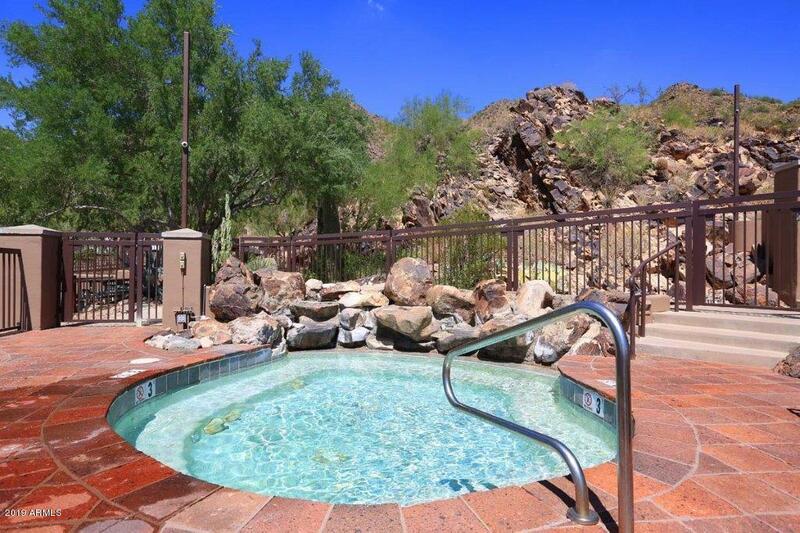 The premier gated community of Scottsdale Mountain is tucked away in the foothills of McDowell Mountain Preserve. The community is unique in the way it is set up so that nearly every home has panoramic desert and mountain views. At the same time, the city lights of major Arizona cities Scottsdale, Phoenix, and Mesa can be seen, lending the perfect balance of being able to get lost in nature, while at the same time enjoying the comfort of the knowledge that, among the cacti, dust, and wildlife, civilization is still close by. The community is fully equipped with tennis and basketball courts, a spa, and full-time security service. Of course, homeowners and visitors alike will also enjoy the stunning views of the sprawling desert dotted with city lights. The surrounding area houses plenty of wildlife, among them being the unique peccary, or javelina. There is a variety of wild plant life as well; those who wish to educate themselves of the area's flora are invited to visit the Boyce Thompson Arboretum or the Desert Botanical Gardens. There are three schools for those who have children. Anasazi Elementary and Mountainside Middle School are within walking distance of each other. The high school, Desert Mountain High, is located off of East Via Linda. According to Newsweek, Desert Mountain High School is one in only a few Arizona high schools that have been chosen to rank among the top schools in the country. All three schools are located on the outskirts of the Scottsdale Mountain community itself. For those who enjoy going out and finding different things to do, these Scottsdale Mountain homes are in a prime location. The Ice Den is a large, state-of-the-art ice skating rink that offers fun for all ages. Residents can dine out on virtually any type of international cuisine in Scottsdale, from O'Donoghue's Irish Pub, to seafood at McCormick & Schmick's, to one of the several All-American sports bar and grilles.